** FINAL REDUCTION! ** Property is under CHFA Short Sale, expect about a 45 day close. This is a nicely updated townhome in a fantastic location! Kitchen has granite tile countertops, stainless appliances, and newer tile flooring. Living areas have newer carpet, light fixtures, and so forth. Keep cool with two portable A/C units included, and the bedroom window A/C is also included. Great open layout and fenced back patio next to small green belt for entertaining. Patio has a storage shed. Community pool is right around the corner. Close to 470, County Line and University. 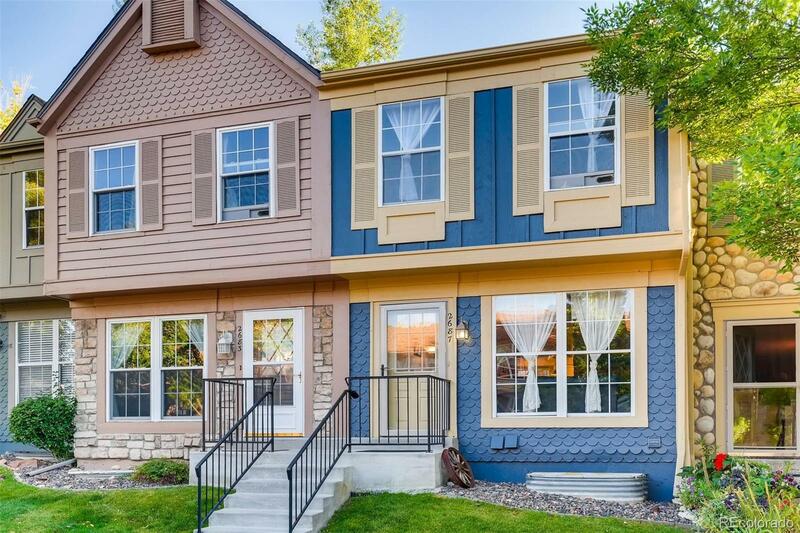 The Streets of Southglenn and Park Meadows are very close by for convenience to all amenities, dining and shopping. Just minutes from DTC!! Basement bedroom in basement non-conforming. Basement is not a walkout and there is no garage but does have two assigned parking spaces in front of unit.